What Is The Best Coffee Maker For YOU? In step one we'll try to find out what type of coffee you prefer: regular coffee or espresso. This is probably the easiest one for you to answer.Yeah, I know, I know. You likely don't need my help choosing a coffee or espresso machine. Fair enough! But, bear with me, there's a reason for this question. It’s not unusual that so-called coffee experts write about coffee machines like the French Press or AeroPress that allegedly can brew both coffee and espresso.The fact is, it’s not true! I won't go into details right now since this topic is explained more in detail in my espresso machine guide. But let me just clear one thing up: To create an authentic espresso you need to push water with high pressure at a specific temperature through the grounds in a very short time. When it comes to finding the best coffee maker you'll come across many that claim to be "the best" such as the drip coffee maker, single-cup brewer, French Press or the espresso machine. Neither the French Press nor the AeroPress, not even the Moka Pot is able to do that. But hey, it's not that I'm super picky! No, I'm saying this, because a lot of people buy a so-called coffee and espresso maker hoping to brew a full-bodied 1 oz black shot of espresso with a thick layer of Crema just to find out it's only brewing a stronger coffee. I don't want to be the one who has to burst your bubble. 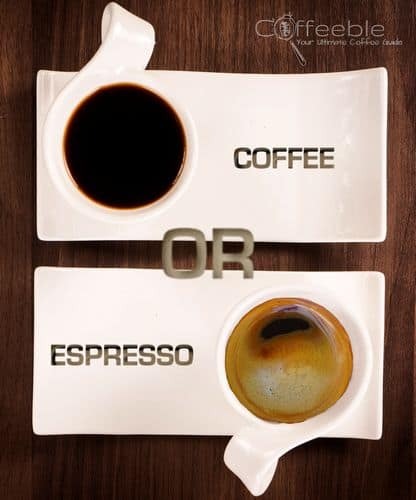 But if you are not so strict when it comes to the definition of espresso you have a few alternatives. In other words, if you prefer espresso, cappuccino or any other milk based coffee drink but don’t want to go broke by spending hundreds or even thousands of dollars in a top espresso machine, bend the term espresso and choose a much cheaper Moka Pot or even the AeroPress. The coffee of the AeroPress is a full-bodied, strong coffee which is decent enough to replace espresso. The Moka Pot creates a full-bodied, rich cup of coffee that comes closest to espresso. Add some steamed milk with creamy froth to it and it's going to be pretty hard to differentiate between an espresso machine and Moka Pot made Cappuccino. 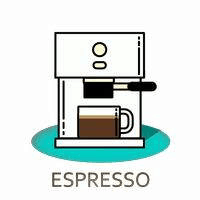 You should know that in the following subjects, we focus on coffee machines, so if you are interested in espresso makers, you should read my espresso maker guide. Now we are in step 2, where we will find out whether you are the 'set it and forget it' type or you like to experience with water temperatures or coffee to water ratios. What Is An Automatic Coffee Maker? Basically, a coffee maker is automatic when all you have to do is add coffee and water and start the brewing process by flipping a button. I'm tempted that all coffee machines are automatic when you plug it into an outlet. Look at the percolator, for example. Electric models have a plug and an integrated heating element. The heat source of traditional models, however, is the stove. There is no outlet needed. But there's still water and coffee that need to be added. 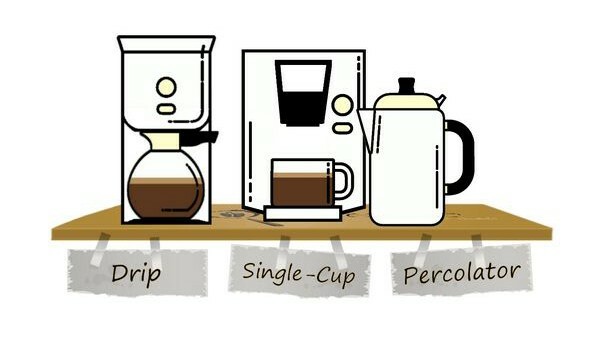 You see the argument now of whether it's an automatic or manual coffee maker?In my opinion, percolators are next to drip coffee makers and single cup brewers automatic coffee makers. What Is A Manual Coffee Maker? 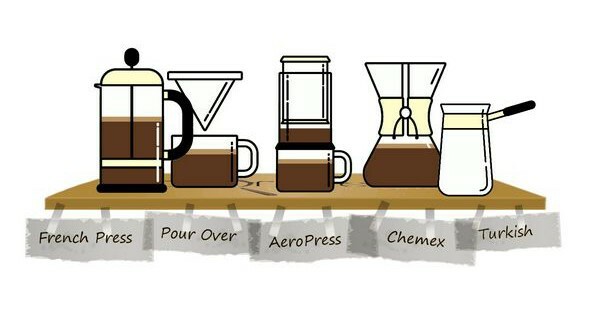 On the other hand, there are manual coffee makers like the Pour Over Dripper, the French Press, the AeroPress or the Chemex. A manual coffee maker is simply brewing coffee with some sort of device by hand! To put it another way, you boil the water and monitor the temperature. You determine the coffee to water ratio. Based on the brewing method you decide how fast to pour the water over the grounds which determines how long the water is in contact with the coffee. 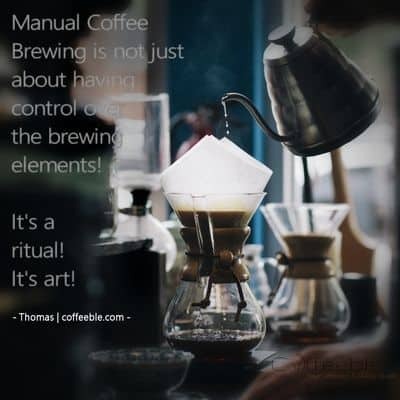 If you ask coffee aficionados, brewing coffee with a manual coffee maker is not just about having control over the entire brewing elements, it’s a ritual, it’s an art! What do you think? Which one of these peaks your interest? Is the mere thought of measuring temperature, weighing coffee and monitoring steeping time overwhelming? Is the mere thought of measuring temperature, weighing coffee and monitoring steeping time overwhelming? Well, then a manual coffee maker is the perfect fit for you! I think it is safe for you to jump straight to the Manual Coffee Maker section! But if you prefer to brew coffee with the touch of a button, automatic is your best choice!It looks like we got that covered now! Are you ready to dive even deeper? In step 3, we look at different types of automatic and manual coffee makers. We start with automatic coffee makers or sometimes called electric coffee makers. Not sure what automatic coffee maker suits your lifestyle? Let me share my thoughts with you. Maybe it helps you with your decision! Drip Coffee Makers strike a good balance between price and convenience. You can even choose a coffee maker with a built-in grinder to add an extra layer of comfort. 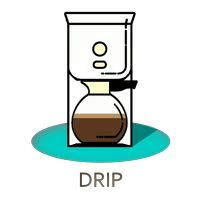 Drip Coffee Machines are available for every budget and with a variety of extra features such as a timer, small batch brewing, or strength selection. In my Drip Coffee Maker Guide I go more into details whether these features are worth a premium price for you or not. 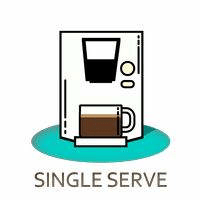 If pushbutton convenience sounds promising, then a single serve coffee maker is your top selection! These K-Cup Coffee Makers offer a variety of coffee drinks and practically run themselves. You add a pod or K-Cup, push start, and voila! And the best thing is, there's a wide selection of hot beverages available such as coffee, tea, cappuccino, hot chocolate, you name it! But be warned: convenience costs you! This article from the New York Times shows that K-Cups can cost you up to $50 a pound! And that’s not even Starbucks Coffee! No, those are Folgers K-Cups! Yes, FOLGERS! In the end, it’s up to you to decide if convenience is worth the recurrent costs of K-Cups or pods! More questions? 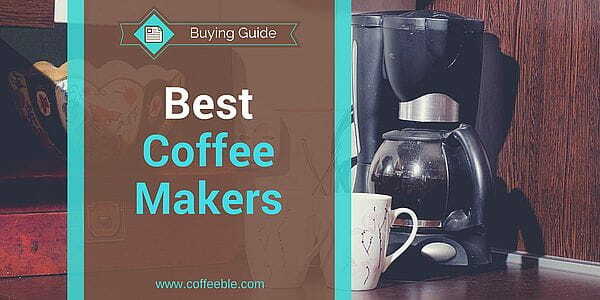 Read my single-cup coffee maker guide! If you like the idea of being the commander-in-chief of coffee brewing you may like this section about different types of manual coffee makers. In general, they are inexpensive and perfect if you’re on a budget. But don’t let the price fool you! Basically, all coffee lovers and experts including myself believe, that you still get the best coffee with a manual coffee brewer! However, you may need to invest in some extra accessories, like a coffee grinder, a scale, and a good water kettle, preferably with a gooseneck. Remember to follow the rules to succeed in manual coffee brewing! These rules vary slightly depending on the specific brewing method. The pour over brewing method is a fast and simple way to brew coffee with nothing else but a filter and a filter holder. The filter sits in the filter holder and is then filled up typically with medium ground coffee. The next step is to pour hot water fresh off the boil over the grounds in a slow and steady way. Manual pressure coffee makers work on the same principle as espresso machines except that they can't build up the high pressure of up to 9 bars. 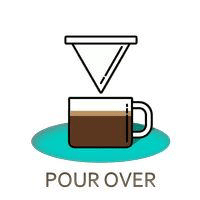 While the AeroPress builds up pressure by pushing down the plunger, the Moka Pot gets its pressure through hot steam. The French Press and Eva Solo have filters to separate grinds from coffee. With Turkish Coffee there is no filter. The very strong coffee is poured into a cup and grounds are sinking to the bottom. Manual coffee makers all follow a specific method how water is introduced into the coffee grounds. Some of them like the Siphon or the Clever Coffee Dripper combine two brewing methods. And all of them produce a unique coffee flavor characteristic. There are three major manual coffee brewing techniques. Let's have a look at the different coffee brewing methods (Click on the icons below to go straight to Amazon for a selection of the best rated manual coffee makers). Before you ask, no I can't tell you which one is the best. All three methods create great coffee. It's all about your taste preferences. 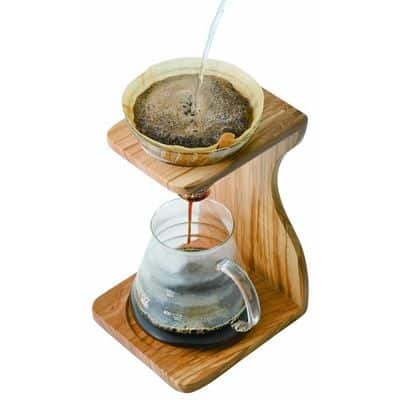 ​One of the cheapest pour over brewer is the drip brewer. This basic cone filter holder is available in all kind of materials like plastic, glass, stainless steel or even ceramic. One of the most popular is the Melitta Ready Set Joe. 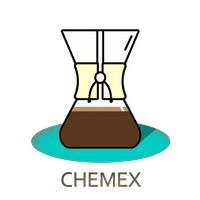 ​The Chemex is an hourglass-shaped glass container that uses a special Chemex Coffee Filter. This filter is much thicker than a regular paper filter and therefore, blocks more of the oils and solids. The result is a very smooth and clean cup of coffee. Both the Moka Pot and the AeroPress use pressure to brew coffee. But we're not talking about espresso machine pressure, which is about 9-10 bars. 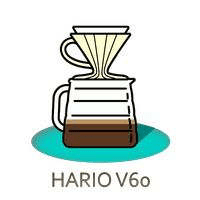 ​According to Aerobie, the pressure when pushing down the plunger of the AeroPress is between .35 and .70 bar.In the AeroPress, coffee is fully immersed in water and then pushed by hand through a special coffee filter. 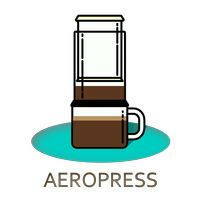 I can tell you from my own experience, that you get a delicious cup of coffee, be it espresso-like or not.I have published a few different posts about the AeroPress if you are interested! I would recommend you to just use the search function at the top of the page and type in AeroPress. 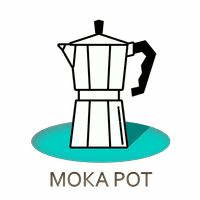 ​Moka PotThe pressure in a Moka Pot is not much higher. According to some resources online, you can expect to build up about 1 bar in pressure. The Moka Pot consists of two chambers with a coffee basket in between. The steam from the boiling water in the lower chamber pushes water through the coffee into the upper chamber. A metal filter blocks the coffee grounds to be pushed into the upper chamber. One last word to the Moka Pot.Luigi De Ponti invented the first Moka Pot for Alfonso Bialetti in 1933. Bialetti is still the most popular brand and is the manufacturer of the legendary Bialetti Moka Express. It's still made in Italy, by the way! The steeping method itself is easy to understand. Add coffee to a beaker, pour water over it and wait. Sounds simple, doesn't it? Well, if you steep it too short or too long or the grind size is not even, you can quickly screw up the whole batch. That being said, it is highly recommended to grind your beans with a burr grinder and use a timer for the brewing process! Let's have a look at two different coffee brewers using the steeping method, the French Press and the Turkish Cezve. ​The French Press, or also called Coffee Press, Cafetiere or Press Pot, lets you fall in love with delicious coffee over and over again. There is no other coffee brewer that combines a classy design with modern entertainment in such a way as the French Press. If you have done some research already on how long to steep French Press Coffee, you more than likely will get a recommended steeping time of 4 minutes. However, I steep my French Press Coffee about 5 minutes which extracts more of the coffee flavors. But don't wait too long or else your coffee is over-extracted and tastes bitter. Try it yourself and see what you like best. 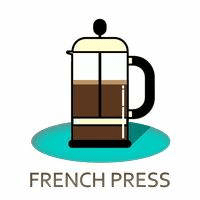 For more information read my detailed French Press Guide! 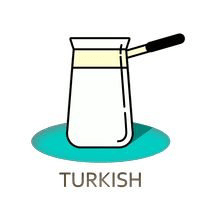 ​The small brass or copper pot to brew Turkish coffee is called Gezve or Cezve. The traditional way to make Turkish Coffee is to add cold water, super fine coffee and eventually sugar to the Cezve. Then slowly heat the water on a low flame and wait until you see foam. Most importantly, it's not supposed to boil! I have not yet brewed Turkish Coffee myself, but from what I understand, you pour the whole pot into your cup. This means you have to leave the last sip in your cup or else you have to swallow a mouth full of coffee grinds. Check out the video, it's beautiful to watch! ​The Eva Solo looks similar to the Chemex but has an additional neoprene cover with zipper to keep the coffee hot while brewing. 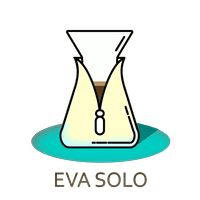 The Eva Solo uses no filter for brewing so coffee and water are poured into the glass beaker. It's an expensive product for just a glass beaker and a zipper coat. A Siphon Coffee Maker looks more like a tool you usually find in laboratories. The Vacuum Coffee Maker consists of two glass pots that are put together. In the middle is a special coffee filter. Hot water goes into the bottom pot and ground coffee in the top. Heating up the water creates steam, which then builds up a vacuum and pushes the water into the top glass pot.When all of the water is in the top glass beaker, the heat source will be removed and the vacuum is stopped. The brewed coffee slowly flows down into the bottom glass beaker. The filter in the middle blocks the coffee grounds. If you don't think you could ever afford a Siphon Coffee Maker, you may be pleasantly surprised that they're not as expensive as you might think. In fact, some are available for under $100! The video is really cool, black and white with color accents! Don't miss it! You're Almost Done! Why Not Relax And Have A Cup Of Coffee Together? Are you still there? I've got to hand it to you, my coffee friend, you have got some staying power! Do you need some time to let the overflow of information sink in? Now is the best time! Grab a cup of coffee and when you are ready to recap, have a look at my comparison table of the best coffee makers. Prices are average and based on most sold coffee makers. Most coffee maker manufacturers consider a cup of coffee to be 5oz. and a cup of espresso 1 oz. ​Coffee/Water Ratio It's a recommendation for starters, increase or decrease, as you wish. 1:10, for example, means for 10 grams of coffee use 100 grams of water. These water temperatures are recommended by manufacturers or experts - or by me! For manual coffee makers these are recommendations for starters. Experiment yourself and increase or decrease brew duration. For automatic coffee makers these are the recommended brew times. Your coffee machine should finish the brewing cycle within this time window (not included is the pre-heating time!). 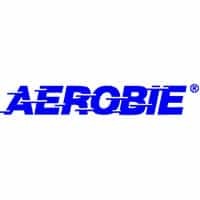 Aerobie is actually more known for their sports equipment like Boomerangs, Yo-Yo's or Superdisc. With the AeroPress, they went in a completely new direction. With great success! The Aeropress costs about $30. 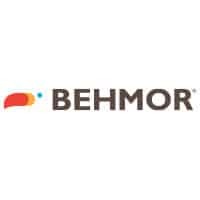 Behmor is a relatively new brand on the coffee maker market. That's why they currently only have a small selection of top rated drip coffee makers. Behmor's range of products also includes a home roaster. Prices of Behmor Coffee Makers range from $199 to $299. 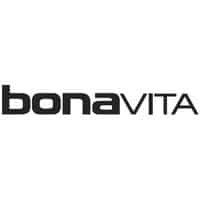 Bonavita's product portfolio includes some of the best coffee makers and coffee maker accessories like kettles or scales. Most of their coffee machines are SCAA-approved! Prices of Bonavita coffee makers range from $100 - $150. 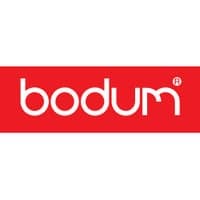 Bodum has produced more than 100 million of French Coffee Presses since 1974. Their products are sold in 55 countries. Their collection includes also teapots, water kettles, coffee grinders and much more. Prices of Bodum French Presses range from $20 to $60. 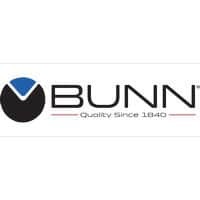 Since 1957, Bunn produces home brewers and commercial solutions. Their portfolio includes multi-cup and single-cup coffee makers, super automatic espresso machines, coffee bean grinding systems and much more. Bunn coffee makers in the home sector range from $100 to $300. 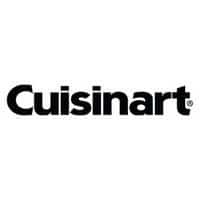 Cuisinart, known as the company that has brought the first food processor to the United States, meanwhile covers a wide selection of kitchen products, small appliances and, of course, coffee makers and espresso machines. Prices of Cuisinart coffee makers range from $30- $250. DeLonghi offers a wide range of coffeemakers. In addition to traditional drip coffee makers, DeLonghi makes espresso machines, Moka pots and are also the manufacturer of Nescafe's Dolce Gusto. Prices range from $50 to $300. Gaggia Milano offers high-quality espresso machines for both coffee shops and homes. Still made in Italy the brand is one of the most trusted names in the espresso industry. Prices in the home sector range from $300 to $2000. 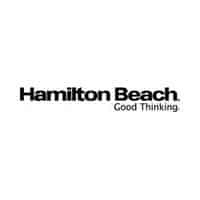 The Hamilton Beach coffee machine portfolio includes pods, single, and multi-serve coffee makers that are sold by almost all major retailers. Prices range from $15 to $150. 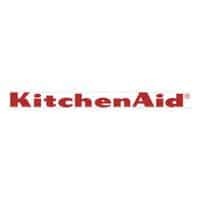 KitchenAid is probably best known for their retro style stand mixers. However, they also offer some very good rated drip coffee makers and even a Siphon Vaccum Brewer! Prices range from $60 to $200. Mr. Coffee offers an extremely large selection of products, from single serve to espresso makers and grind-and-brew to several different drip models. 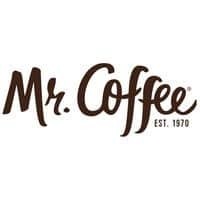 The Mr. Coffee brand can be purchased almost everywhere. Their Prices range from $15 to $200. 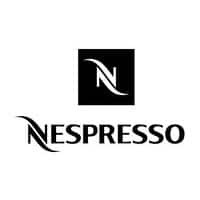 Nespresso is an operating unit of the Nestlé group, based in Switzerland. Nespresso machines are mostly single-brewer and use their own Nespresso Capsules, however, third party coffee vendors also offer those capsules. Their Prices range from $80 to $300. 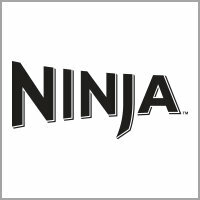 Blenders, food processors and the Nutri Ninja are eventually the first products that come to mind when talking of Ninja Kitchenware. However, not too long ago, they introduced their first coffee maker product, the Ninja Coffee Bar! 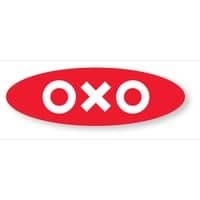 OXO offers more than 1000 products in the home section area with the focus on making everyday living easier. Currently, OXO offers the Barista Brain, an SCAA-certified coffee brewing system.